So the list worked pretty well to get me prepared for Market. I was able to have just the right amount of decorations and everything fit pretty well in my suitcases (I did have to sit on them to close but they definitely closed). 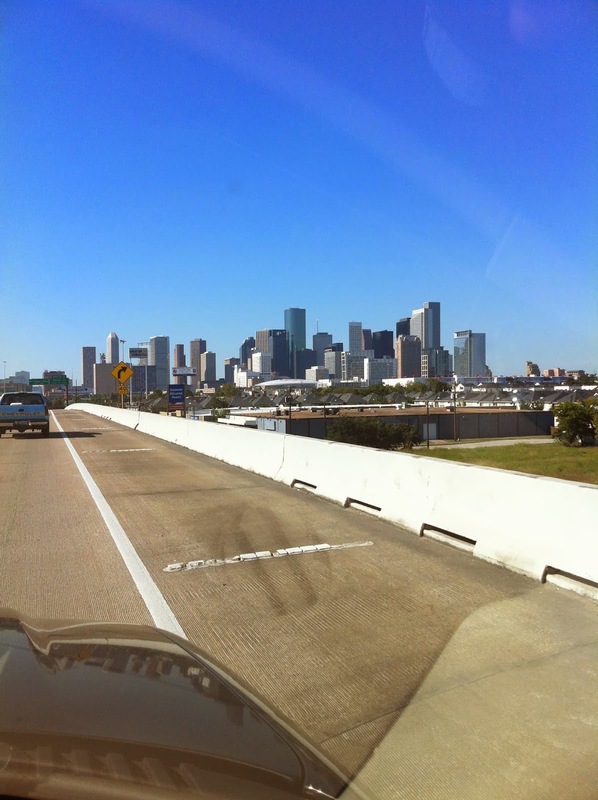 We got to Houston and had an exciting ride on the Metro Bus where we saw a little bit of Houston on the way. Below is a pic of just after we got to the hotel and checked in. We were super lucky to make a trip to Galveston with our wonderfully amazing and sneaky Betty (she surprised us when were being picked up, we were so shocked and excited) and her daughter - Jennie/grand daughter - Sharee /great grand daughters. We were so spoiled with a dolphin show and a ferry ride. The splash is one of many attempts to catch the dolphins in action. The company was AMAZING!! My friends Andrea, Crystal, and Katie were able to come along. Here we are on the ferry. Here is the big group all together with our Betty!! We also got to go to the beach and stick our feet in the sand. 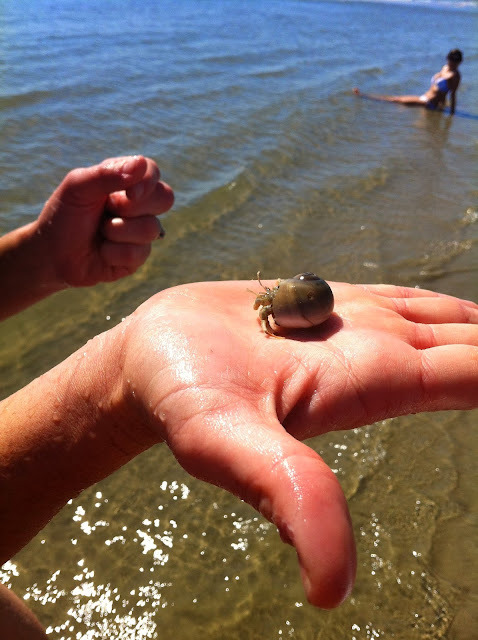 Katie is super brave with a crab in her hand. 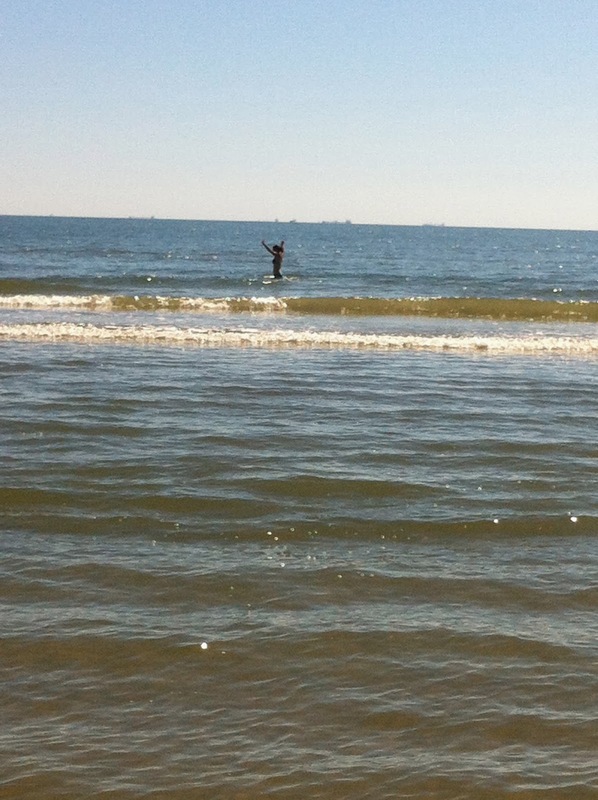 Then Andrea is in the back ground just sitting in the water soaking up the sun (which is her FAVORITE HOBBY). It only took a minute for Katie to make it out into the water and she ran as fast as you can run... in water. The downtown of Houston has a great group of stunning sky scrapers. Then the hard work began. 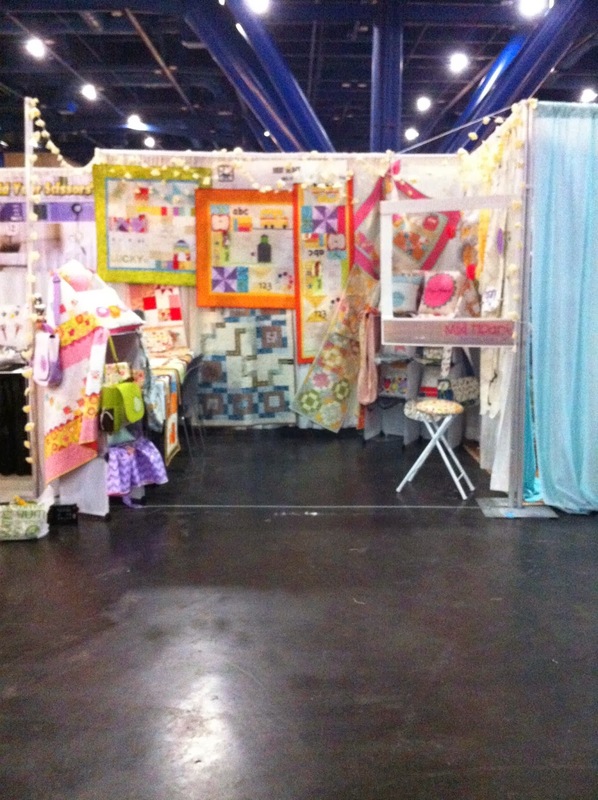 We headed down to set up the booth which took a couple of hours. 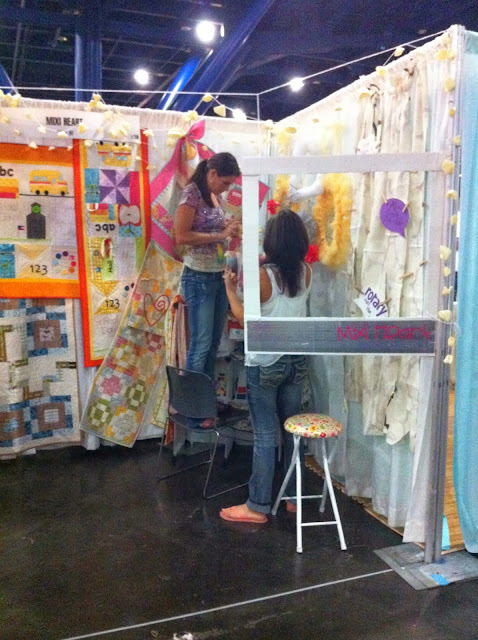 It all turned out pretty cute and it was fun to see all of the quilts posted all over the booth. Can you believe all of this fit in two suitcases? Katie's idea for a polaroid was a fun touch. We had cute signs to hold which was our craft Wed night in the hotel room. 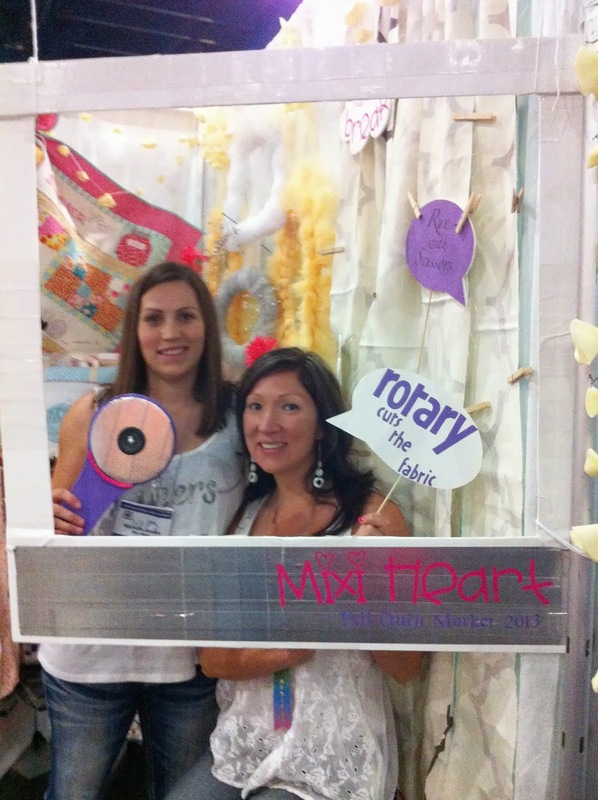 Katie made the super cute Rotary cutter. It as my favorite decoration. Then the next day we got another day off to enjoy School House and Sample Spree. 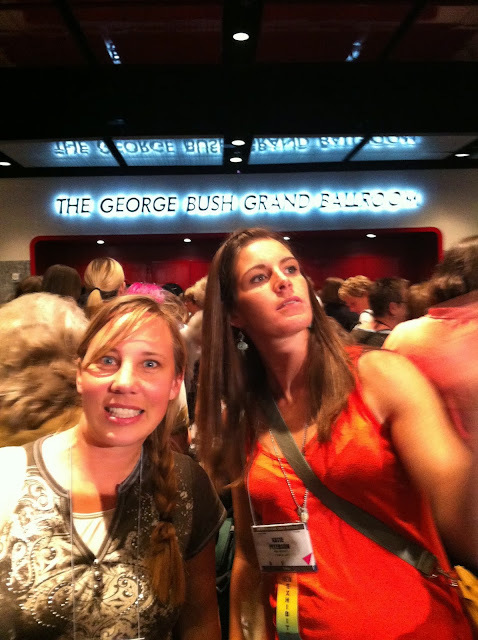 Here is Katie and Crystal getting all amped up from the excitement. 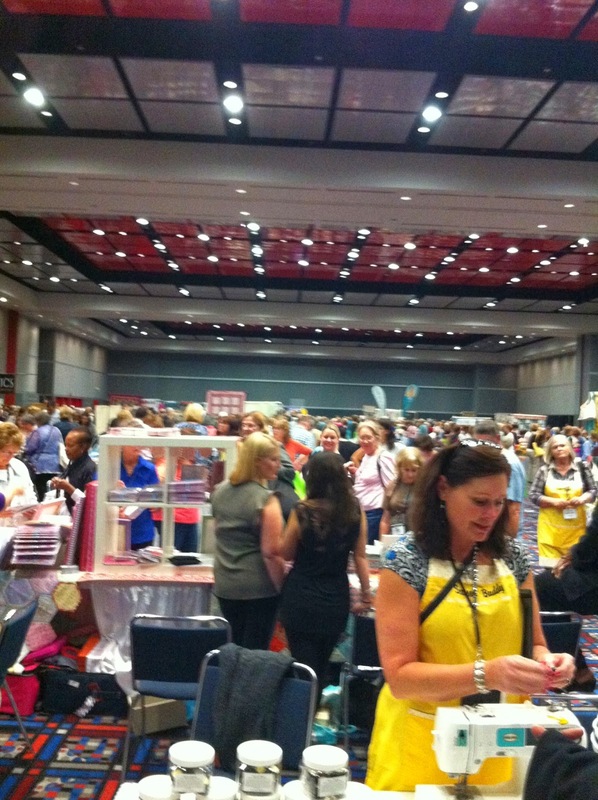 Then here is the chaos of Sample Spree inside. Also, here is our booth-neighbors in the cute Yellow Aprons. 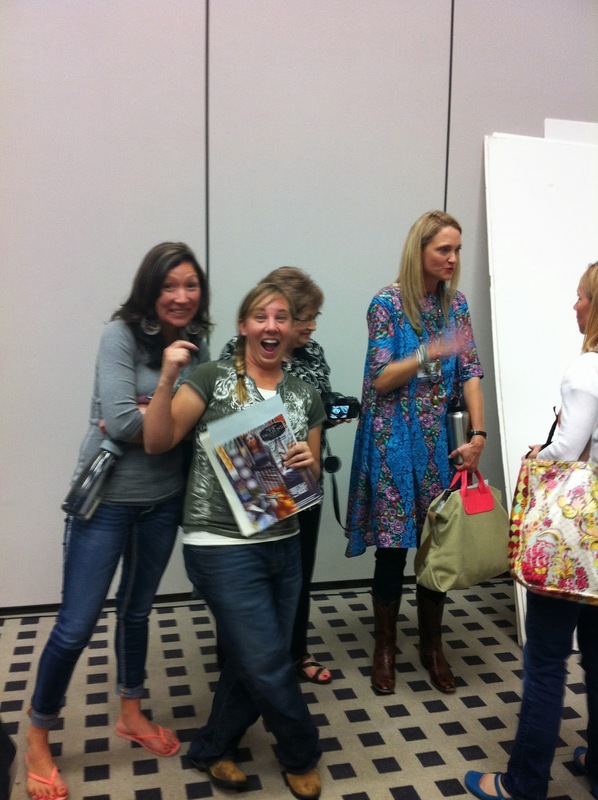 Katie got a quick pic with Chef Eleanor Burns among the chaos. So don't tell our husbands but we were bad... real bad. Here is all of our loot together. So much fabric. We got to meet wonderful people through out the whole show. One sweet sweet lady was Kathy Schmidt. 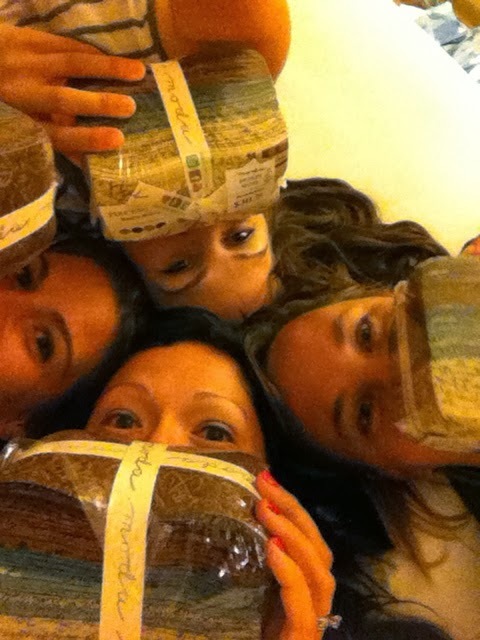 We loved her so so much we each bought her fabric and then took a photo shoot with it. I can't tell you how fun it is to meet people and to be so impressed with their kind hearts. It is always locked in my heart how sweet they are and I won't ever forget. Then Quilt Market started!! 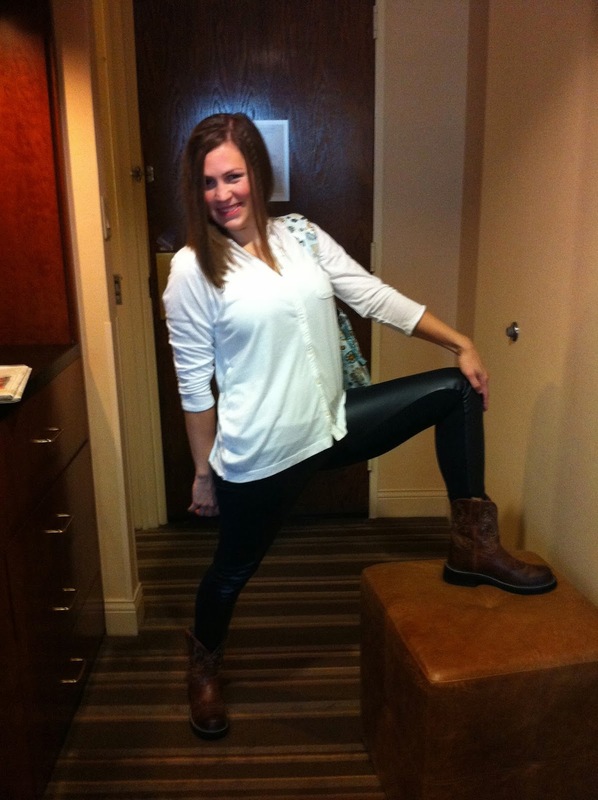 My sweet amazing incredible friend outfitted me in these coated jeggings!! WHOA!! 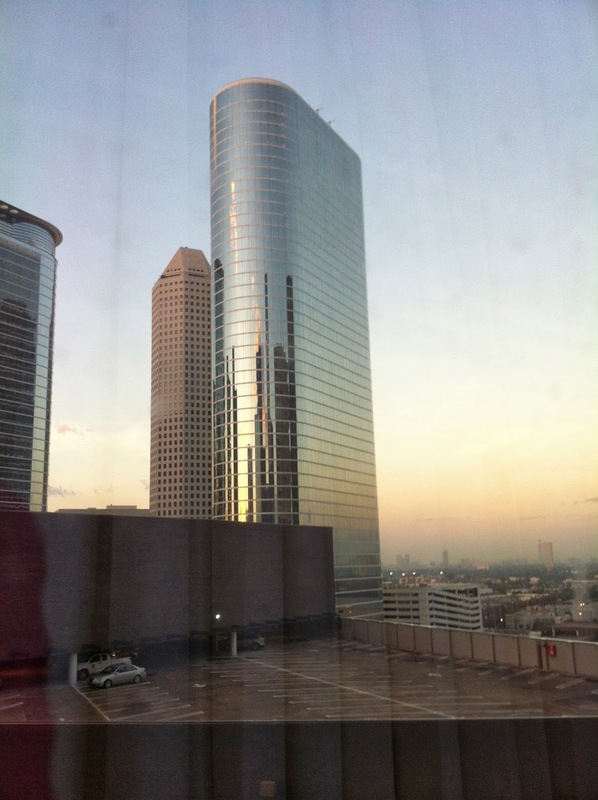 Here is the view out our room's window. 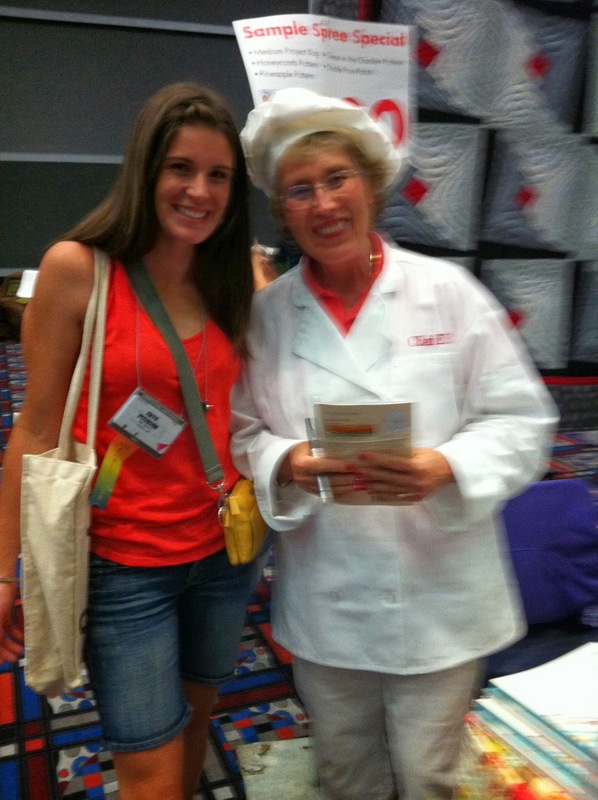 Here is one of the author's we were so lucky to meet. I have to say that I was so so so impressed with her book!! I can not wait to make some super cute Clothes for my favorite niece! 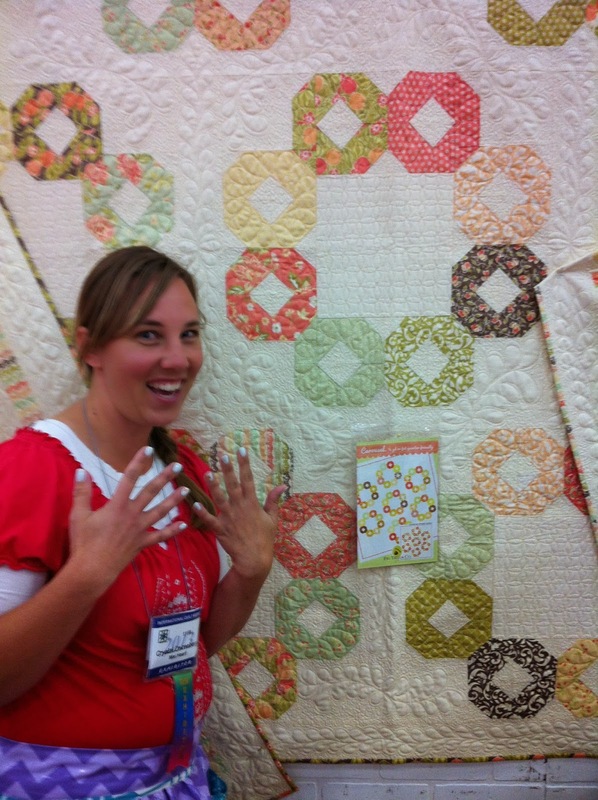 Here is Crystal next to a Fig Tree quilt with her matching manicure. Andrea won our best dressed of the trip nominated by Katie and second and third by Michelle and Crystal. We all had our matching aprons which were handy for all our pens and essentials we needed for the business side of things. Then all good things come to an end. Katie and Andrea headed home in the early afternoon and Crystal and I closed the booth down and headed frantically to the airport. We made it in plenty of time with plenty of laughs. It was an amazing experience and I feel so lucky to have all these memories and to be inspired by all the people that are in this Quilting Industry. So I hope you enjoyed a little glimpse into our trip. 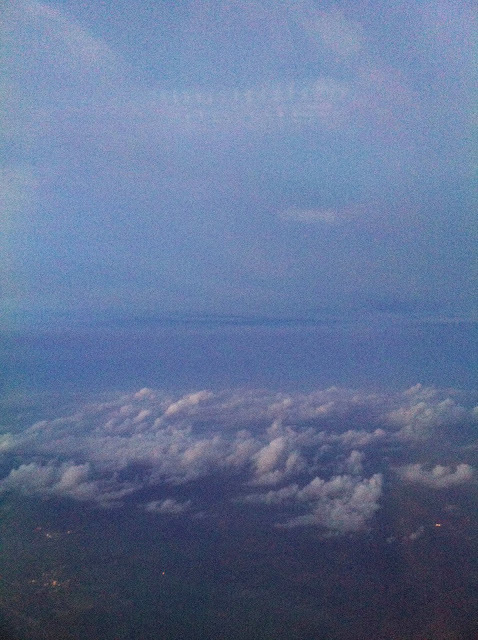 And then our heads were in the clouds and they continue to be... we still haven't come down yet. Loved reading about all of you adventures! What a pretty bunch of gals! 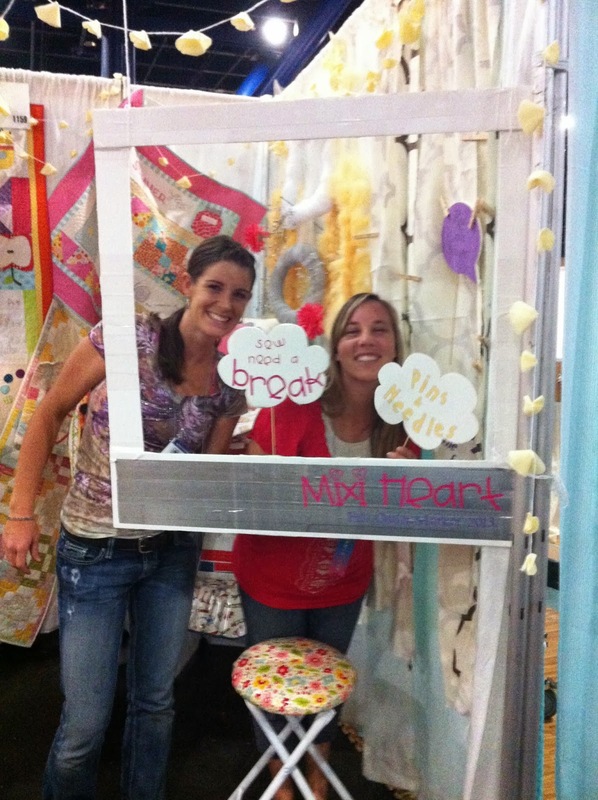 And your booth looked amazing! Fun to read your post! 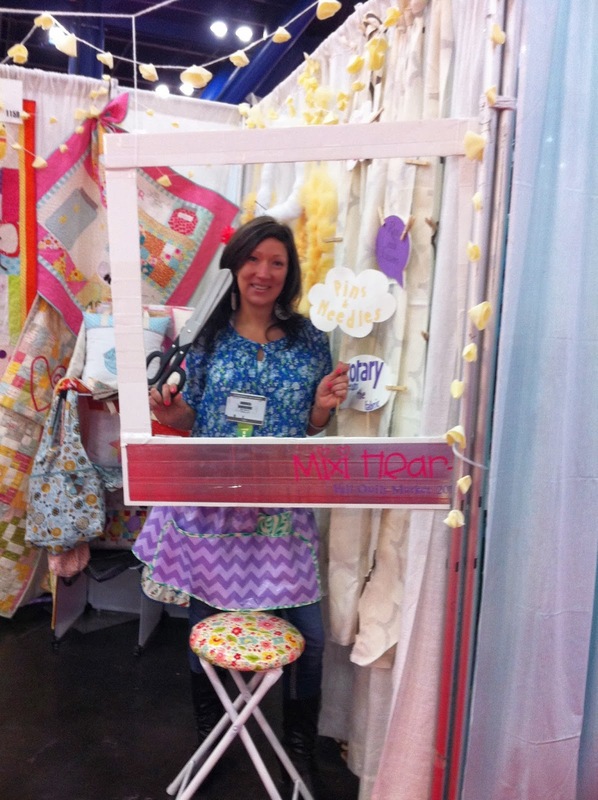 Congratulations on your first booth! Maybe I will get up the courage for that one day!